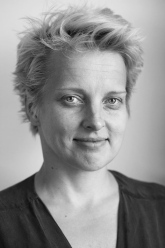 Asta Vonderau is an Assistant Professor of Social Anthropology at Stockholm University. Previously she has worked as a Research Associate at the Department of European Ethnology at Humboldt-University in Berlin, and as an Assistant Professor at the Department of Cultural Anthropology, Johannes-Gutenberg University in Mainz. In 2016, she was a Research Fellow at the MIT CityScienceLab, HafenCity University in Hamburg. Vonderau’s research focusses on political and economic transformation processes in Europe after 1990, and on their material and bodily forms and social effects. This research includes projects investigating the relation between IT infrastructures and regional change, postsocialist transformation processes in Eastern Europe, and the adoption of EU policies and standards in various local contexts. Vonderau’s monograph, Leben im neuen Europa. Konsum, Lebensstile und Körpertechniken im Postsozialismus [Living in a “New Europe.” Consumption, Lifestyles and Bodily Techniques in Post Socialism] (2010) investigated the changing modes of governmentality in Eastern Europe, their material and bodily representations and ways of (re-)production. Based on fieldwork in Lithuania, the book traces changing cultural visions of the future after the end of the Cold War. It shows how social roles have been re-defined and human bodies remodified in relation to ideas of European belonging, and how the Socialist past was re-interpreted. Drawing from governmentality studies and the anthropology of policy, Vonderau also has investigated the ways EU policy and standards have been implemented in various contexts, such as open air markets in Eastern Europe or German universities. She is co-editor of Formationen des Politischen. Anthropologie politischer Felder [Formations of Policies. On the Anthropology of Political Fields] (2014), a book that introduces relevant research in the German speaking countries and develops a methodological toolbox for anthropological investigations of policies and power. Vonderau’s interest in analyzing power and politics in their material and bodily form has over the last years been complemented by new perspectives on materiality and knowledge. She has analyzed processes of standardization and technological innovation as a global form of neoliberal governmentality that take shape in different spaces and scales of contemporary social life. Her current research project, Farming Data, Forming the Cloud: The Environmental Impact and Cultural Production of IT Technology, is funded by The Swedish Foundation for Humanities and Social Sciences (Riksbankens Jubileumsfond). The project investigates the cultural meanings, social effects, and environmental impact of the data center industry, an industry constituting the core of today’s global IT infrastructure. Based on a case study of the implementation of Facebook’s data center in the Swedish city of Luleå, the project analyzes the national and global dimension of these new industrial developments. It also developes methods for the investigation of complex sociotechnical configurations (such as IT), and contributes to anthropological research on infrastructures in digitization. “Scaling the Cloud: Making State and Infrastructure in Sweden”. In: Ethnos. Journal of Anthropology. “Technologies of Imagination: Locating the Cloud in Sweden’s North”. Location and Dislocation: Geographies of Digital Data, edited by Alix Johnson and Mél Hogan, Imaginations: Journal of Cross-cultural Image Studies, September 8(2). “Zur Poetik der Infrastruktur: Technologien des Kuehlens und der Imagination im digitalen Kapitalismus”. Zeitschrift fuer Volkskunde. Beiträge zur Kulturforschung, 113(1): 24-40. “Audit-Cultures and Infrastructures of Excellence: Studies and Teaching Reform at German Universities.” Learning and Teaching. The International Journal of Higher Education in the Social Sciences 8(2): 29-47. “The Downside of Transparency: Europeanization, Standardization and Disobedient Markets at the Margins of Europe.” Lietuvos Etnologija: socialiones anthropologijos ir etnologijos studijos 15(24): 35-67. “Globale Daten in lokalen Speichern: Ethnographische infrastrukturelle Zugänge zum World Wide Web.” Alltag-Kultur-Wissenschaft. Beiträge zur Europäischen Ethnologie, 2: 149-164. Formationen des Politischen. Überlegungen zu einer Anthropologie politischer Felder, co-edited with Jens Adam. Bielefeld: Transcript. Transnationalität und Öffentlichkeit. Interdisziplinäre Perspektiven, co-edited with Caroline Schmitt. Bielefeld: Transcript. Leben im ‚neuen Europa’. Konsum, Lebensstile und Körpertechniken im Postsozialismus. Bielefeld: Transcript. “Mobilmachung für den freien Markt. Transformationen des Individuums im ‚neuen’ Europa.” In: Mobilität und Mobilisierung. Ed. by Irene Götz, Barbara Lemberger, Katrin Lehnert and Sanna Schondelmayer. Frankfurt/New York: Campus: 295-314. Changing Economies, Changing Identities in Postsocialist Eastern Europe, co-edited with Ingo W. Schröder. Münster/Hamburg/Berlin: LIT (=Max-Planck Institute for Social Anthropology, Halle Studies in the Anthropology of Eurasia). “Yet Another Europe? Constructing and Representing Indentities in Lithuania Two Years after the EU Accession.” In: Representations on the Margins of Europe. Politics and Indentities in the Baltic and South Caucasian States. Ed. by Tsypylma Darieva and Wolfgang Kaschuba. Frankfurt/New York: Campus: 220-241. Zur Modularisierung der (akademischen) Welt: Wie lässt sie sich ethnographisch untersuchen?, invited speaker at the research seminar, Department for Empirical Cultural Research, University Tuebingen (Germany), 29 June. Infrastructuring Connectivity – Materializing the Virtual, invited speaker at the research seminar, Alexander von Humboldt Institute for Internet and Society, Berlin, 21 June. Navigating Scale, panel organized at the annual conference of the Swedish Anthropological Association (SANT), Stockholm, 6-8 April (together with Jenny Lindblad). Follwing the Wire, Navigating Scale, annual conference of the Swedish Anthropological Association (SANT), Stockholm, 6-8 April. Infrastructuring Urban Sharing, Congress of the International Society for Ethnology and Folklore (SIEF), Goettingen, 27 March. Locating the Cloud in Sweden’s North, invited speaker at the research seminar, Ethics of Big Data Research Group, Cambridge University, 30 January. Follow the Wire: Zum digitalen Alltagsleben und Ethnographieren der technischen Welt, invited speaker at the research seminar, Department of Archeology and Cultural Anthropology, University Bonn, 19 January. Urbane Infrastrukturierungen, HafenCity University Hamburg, 10 January. Farming Data Anticipating the Cloud, European Association of Social Anthropology (EASA) conference, Mailano, 21-24 July. Infrastructuring Connectivity, invited speaker at the graduate school Loose Connections, HafenCity University Hamburg, 12 February. Global Data in Local Farms: Implementing the Cloud in Sweden‘s North, research seminar at the Department of Media and Communication Studies University Soedertoern, 26 January. The Making of State and Infrastructure, invited speaker at Laboratory of Critical Urbanism, European Humanities University Vilnius, 4 May. The Downside of Mediatization: An Infrastructural Approach to Globital Memory, Media and Communication Studies, Karlstad University. Globale Daten in lokalen Speichern: Ethnographische infrastrukturelle Zugänge zum World Wide Web, Department of European Ethnology, University Würzburg. Making the Global Cloud Local: Infrastructures, Technological Visions and Negotiations of Regional Identity in Sweden’s North, Regional Development, Karlstad University. Farming Data, Forming the Cloud: Implementing the IT-industry in Sweden's North, Stockholm Centre for Organizational Research (SCORE), Stockholm University. Global Data in Local Farms: Tracing the Infrastructural Materialities of the Cloud in Sweden‘s North, Media and Communication Studies, Umeå University. Imagining the Swedish Cloud: Infrastructure, Technological Visions and Negotiations of Visibility, Department of Social Anthropology, Stockholm University, November 24. Farming Data, Forming the Cloud: The Environmental Impact and Cultural Production of Information Technology, Gender and Technology, Luleå University. “Imagining the Swedish Cloud: Infrastructure, Technological Visions and Negotiations of Visibility”. 13th EASA Biennial Conference: Collaboration, Intimacy & Revolution – innovation and continuity in an interconnected world, Tallinn University, Estonia. “Farming Data, Forming the Cloud: Environmental Impact and Cultural Production of IT Technology”. Conference of Swedish Anthropological Association (SANT), Linköping University.